As a manager, controller, or consultant you want to determine the right KPIs for your organization, and implement them as quickly as possible. To-the-point and without detours, this practical workshop covers all important aspects of genuine KPIs, ranging from definition to implementation and data through visualization. You can find the right KPIs and insights to more effectively control that which is really critical to continuous improvement and higher performance. KPIs (key performance indicators) are at the core of the intelligent organization and affect your results to a high degree. However, finding genuine KPIs is no easy task, as they are often “hidden” within the operational processes and your data. Once in sight, KPIs form a perfect ‘early warning system’ for future performance, and with a poor score, they provide a warning regarding the objectives of the organization. This workshop will introduce you to KPIs, the underlying critical success factors, and all the necessities for a complete KPI framework in a very accessible and approachable manner. 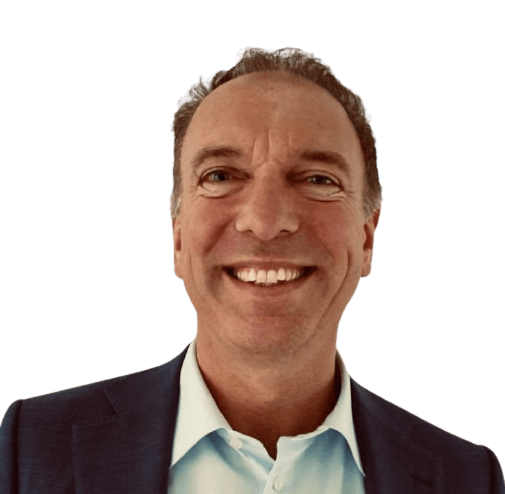 Wouter Huisman studied Business Economics at the University of Groningen and is a management consultant with the Passionned Group. He has years of experience with KPIs and management dashboards and is head over heels for KPI management. His approach is punctuated with practical examples and as a former manager he knows better than anyone where guidance is needed. Critical success factors (CSF’s): What are they and how do you identify them in your business process and at the same time ensure their alignment with your objectives and business strategy? The success factors largely determine whether your organization can be successful. You’ll learn to look at your organization differently. The hierarchy shifts to the background and the really critical processes come to the fore. The three main methods for determining KPIs: you gain insight into which three methods you can use to find KPIs and practice with them. 1. The vertical business-driven method uses policy and strategy as a starting point to discover indicators. 2. The horizontal business-driven method identifies the KPIs based on the roles, tasks, responsibilities and transfer points in the process. 3. The data-driven method gives you practical tools to find the so-called “golden nuggets” in your (big) data. The 1 million euro insights: What are they and how do you find them? Which three rules of thumb are you using? But above all, what do you get from considering the value of really capitalizing on 1 million euro insights in your organization? The KPI framework: With a list of KPIs and 1 million euro insights you’re not there yet … more is needed for effective KPI control! Think of the definitions, analysis of KPIs, data quality, and so on. You’ll learn the complete KPI framework. Practice Case 1: Group assignment on determining KPIs + followed by presenting and receiving feedback. As a participant, you will practice with the experts to identify KPIs yourself based on a practical case. You will present the results to the group and the instructor will explain the best practices. Individual practice cases: Alone or in groups, working with KPIs for your own organization. 15:30 Visualization of KPIs: You learn to enhance the ease of use of KPIs by powerful data visualization techniques. Which psychological effects and cognitive frameworks must you take into account? And above all, what are the best practices surrounding the use of color, surface distribution and positioning. Including the BBC documentary: “How to make better decisions”. 16:00 KPIs and the process of continuous improvement (PDCA): Successful and intelligent companies are well aware of the importance of continuous improvement. It’s in their DNA. A KPI process without PDCA (plan-do-check-act) anchoring doesn’t achieve optimal results. During this section you will learn how to embed KPIs into improvement circles. * All participants will be asked beforehand, as homework, to bring in one or several cases related to their own organization. If multiple people from the same organization are signed up for the workshop they may jointly bring a case and work in a group. Four ways to find, define, and visualize KPIs in your own organization. What do others think of this workshop? This workshop provides valuable guidance for anyone who is involved in a KPI process. Our workshop is often attended by: managers, business controllers, financial managers, those responsible for management information, and directors and consultants. We encourage you to participate with several colleagues. Do you want a more comprehensive KPI & Performance Management training course? We offer this as an in-company training course as well. We offer our unique KPI workshop as in-company training. If you have want to discuss the possibilities, please contact us now. "With the introduction of the KPIs, the performance of the various components became clear at a glance and actions were defined in order to improve this performance. Thus we were able to adjust our policy when it became clear that parking spaces have great influence on the vacancy rate." "Very good and clear! The KPI workshop by Passionned Group offered fine tailoring and there was a nice chemistry between the instructor and the group. " We love to help you getting started with kpi workshop.